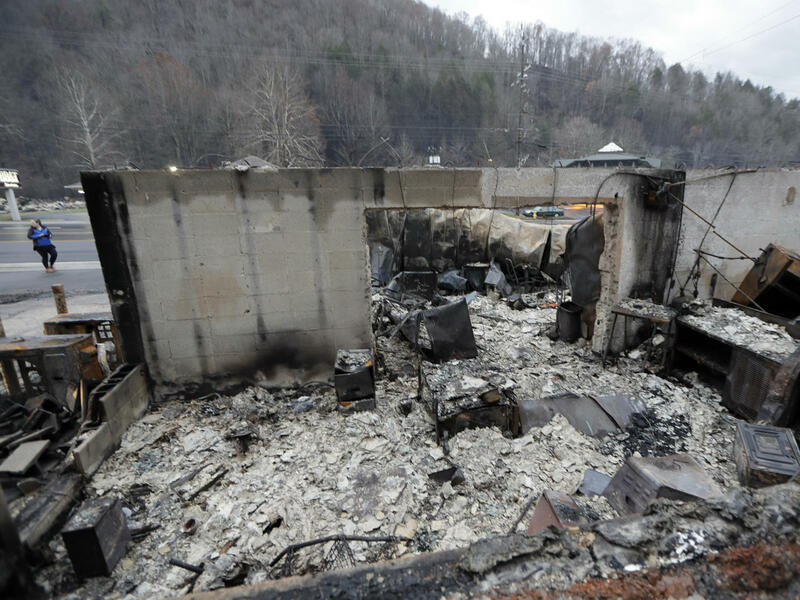 GATLINBURG, Tenn. -- The death toll from the Gatlinburg area fires has risen to 14. On Sunday, the National Park Service and other authorities said 81-year-old Elaine Brown of Sevierville died fleeing the fire after she had a medical event driving that caused a multi-car crash. Officials have increased the number of injures to 134. They say almost 1,700 structures have been damaged or destroyed by the fires. Also this weekend, the Tennessee Emergency Management Agency said a mass text message telling people to evacuate was never sent. TEMA said the local command post requested the message at 8:30 p.m. Monday, but communication between agencies was lost because of disabled phone, internet and electrical services. Previously, John Mathews of the Sevier County Emergency Management Agency said the text was sent, but everyone didn’t receive it due to power outages and loss of cellphone reception. TEMA said officials warned people throughout Monday through news conferences and news releases, door-to-door knocking and social media. One couple who was on their honeymoon barely made it out in time, CBS News correspondent DeMarco Morgan reported. The dead included a Memphis couple who was separated from their three sons during the wildfires. The three young men -- Jared, Wesley and Branson Summers -- learned that their parents had died as they were recovering in the hospital. The trouble began last Monday when a wildfire, likely caused by a person, spread from the national park into the Gatlinburg area as hurricane-force winds toppled trees and power lines, blowing embers in all directions.